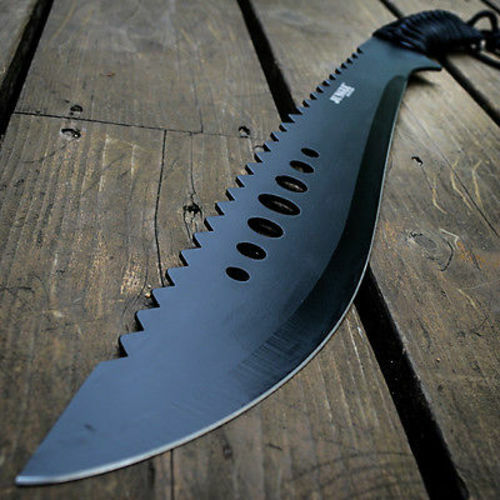 Full Tang Sawback Bolo Machete With Sheath | BUDK.com - Knives & Swords At The Lowest Prices! 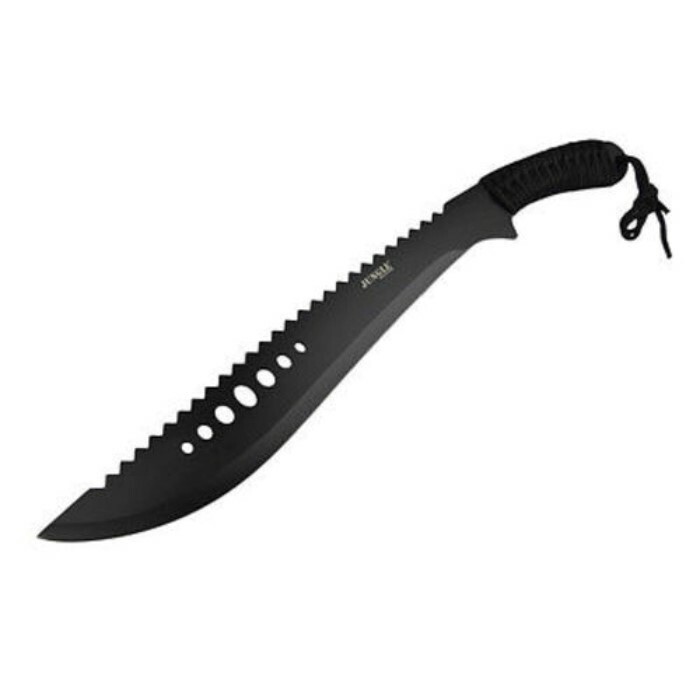 This classic bolo machete delivers in a big way with its whopping blade and powerful sawback serrations. The blade has a slightly curved edge like a kukri, and the sawback serrations are razor sharp. 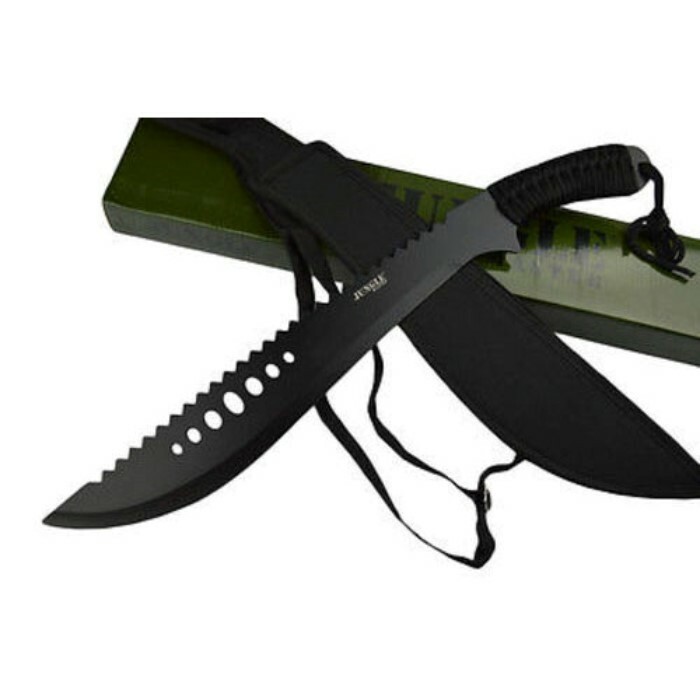 This multifaceted design makes this bolo machete useful for a variety of chopping, sawing, and slashing applications. The handle is wrapped in nylon cord for a secure grip. 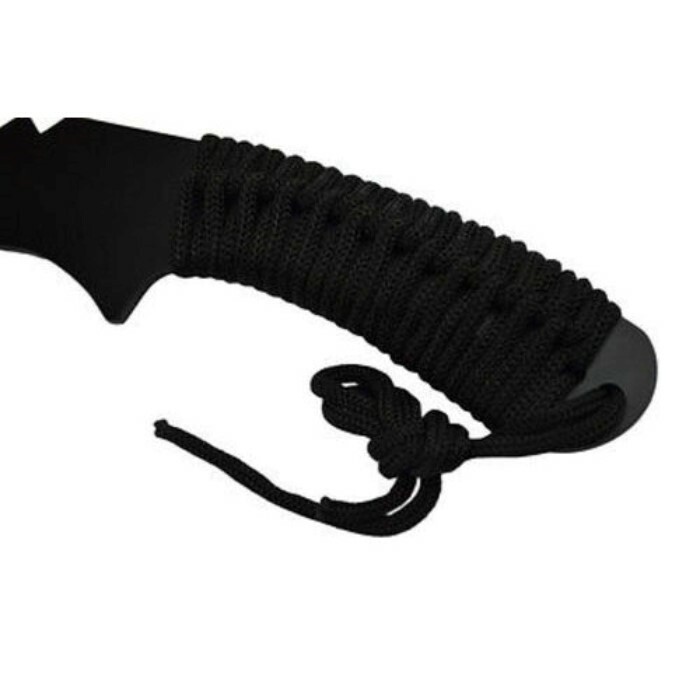 A nylon belt sheath is included for on-the-go use.